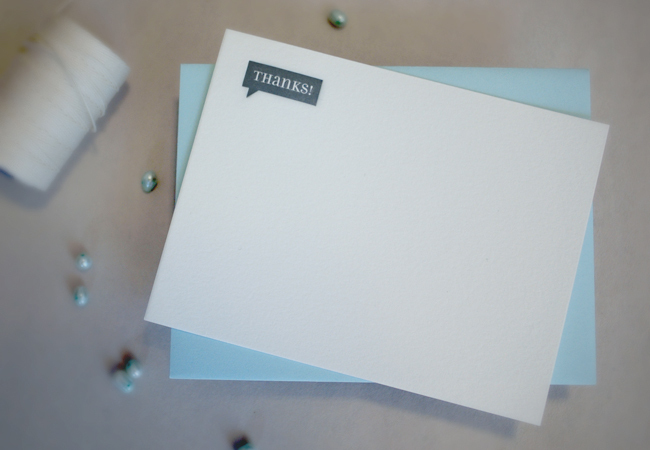 Designed modern thank you cards in the shape of a speech bubble. 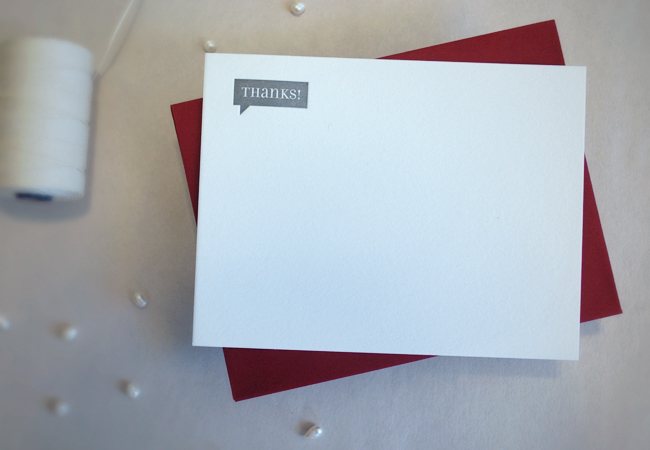 These 5.5x4.25in notecards cards were printed with a cool gray on 110lb Cranes Lettra in Pearl White. 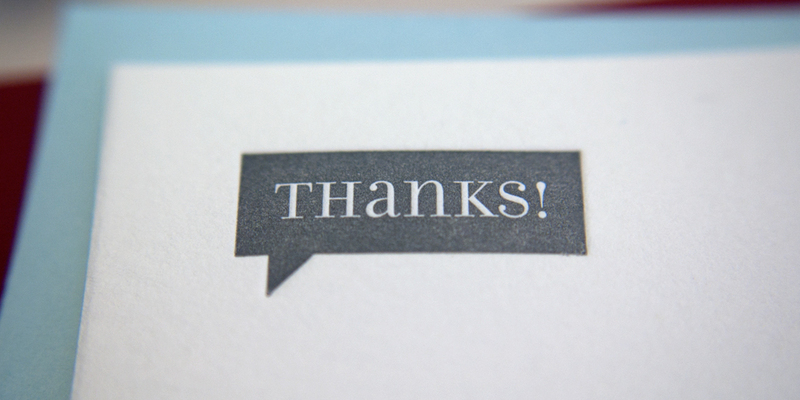 The cards come with either blue, or deep red envelopes.